I’m going to kill myself!! The Holiness of God…Please read! Oh those thorns! They hurt! What are thorns? 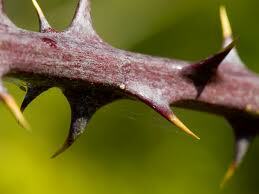 Thorns are sharp woody spiny pieces that stick out of a bush. They can cause pain, irritation, soreness and can be extremely uncomfortable if it‘s not removed from ones skin. Yes God is sticking it to us Christians! Why? Because God loves us and has our best interest at heart….let me explain. God was protecting the integrity of Paul so that he wouldn’t think more of himself than he should. It’s a big risk when anyone is given a lot of power, authority, anointing and gifts. I believe one is never 100% sure of how they would act until given such power. Since God knows us better than we know ourselves…He kinda gave us an insurance policy so we are covered if we act out….you know…start believing our own press….thinkin’ we’re high and mighty because of our “gifts and anointing from the Lord. I tell you…the last thing I would want to do is to take some of God’s glory…but I am vulnerable just like everyone else and I know it. I have felt it…to be honest here. That’s why I have learned to be so very thankful for the thorns. I don’t enjoy them at all. They are very painful at times and having them daily as I do is a pain but necessary and I am finding out why. 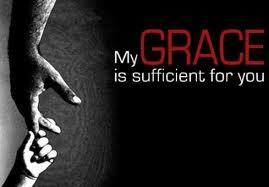 God has been using me as I have made myself available to Him for service and I find the thorns very useful. 1. I am Gods child and not His buddy, best friend or assistant. 2. That I have no strength on my own. 3. I’m flesh and blood. 5. I can do nothing unless He says so. 6. Helps me to keep my place. 8. Helps me to focus on God. 9. Keeps me from straying off track. 10. Brings Gods word to my mind. 11. Helps the Holy Spirit to get my attention. The reason that I know it’s hard to remain humble is because satan who had it so good started with that thinking conceited and where did it get him? Yeah you know…kicked right out of heaven! He thought he was all that and a bag of chips. If I ever start to think I’m those chips…I want God to step on that bag!!!! Thus…we have the…thorns!! That is God taking His big Holy foot and……well you get the picture. 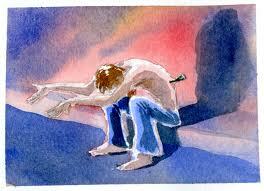 Isaiah 14:12-14 How art thou fallen from heaven, O Lucifer, son of the morning ! how art thou cut down to the ground, which didst weaken the nations! For thou hast said in thine heart, I will ascend into heaven, I will exalt my throne above the stars of God: I will sit also upon the mount of the congregation, in the sides of the north: I will ascend above the heights of the clouds; I will be like the most High. I know you don’t like those thorns and neither do I….but I’ve come to appreciate them more and more. The more God uses me…the more I need the thorns. Message for today: Yes God is sticking it to you and you betta’ be really glad…Hello! You are right on, Sister! (No discipline for the moment seems joyful, but afterward yields the peaceable fruit of righteousness.–Hebrews 12:11) Pride seems to be a temptation for all of us, and God is so good to keep us from completely falling by allowing the thorns. May God continue to bless and use you more and more.